Analysis: OTI Attempts Seeks to Enable Payments on Wearables | NFC Times – Near Field Communication and all contactless technology. 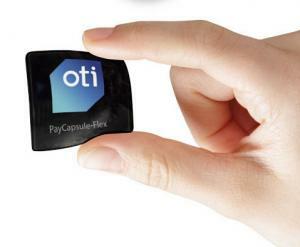 Contactless reader and NFC company OTI has announced plans to offer a platform to put payments applications onto wearable devices, using its NFC modules, working with service companies it would partner with. The vendor has not announced any deals yet with either wearables makers or partner vendors. The company announced the further move into services last week with its planned PayEnable offer, which would seek to encourage wearables makers to embed OTI’s NFC chip and antenna modules into their devices and to also hire the vendor to line up provisioning of payment applications on the chips and other services, such as issuing, activation and processing. UPDATE: OTI's focus remains on contactless readers, and it would work with partner companies to enable provisioning services. It hasn’t announced any deals with these partner companies. END UPDATE. It’s not the first announcement of late by OTI signaling it is seeking to supplement its product revenue by recurring revenue. In February, the vendor announced it had received approval to support payment processing in the European Union for vending machine and kiosk operators using its contactless readers. OTI said it was partnering with a multinational bank and a leading payment processor for the deal, but didn’t disclose the name. Vending and kiosk operators would apparently deal directly with OTI, paying a monthly subscription fee that would include the processing.